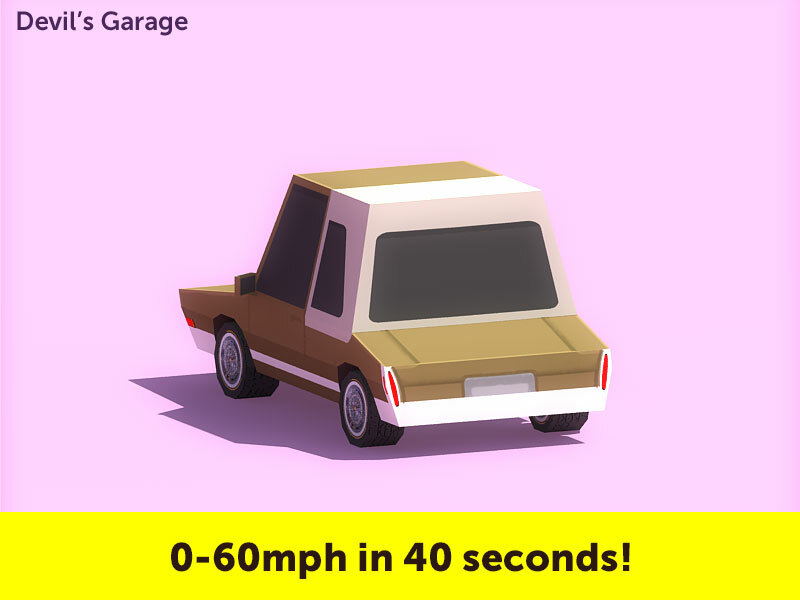 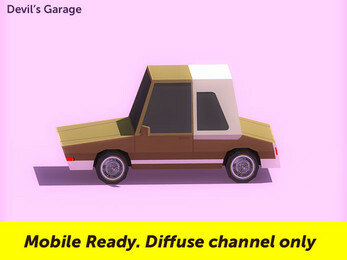 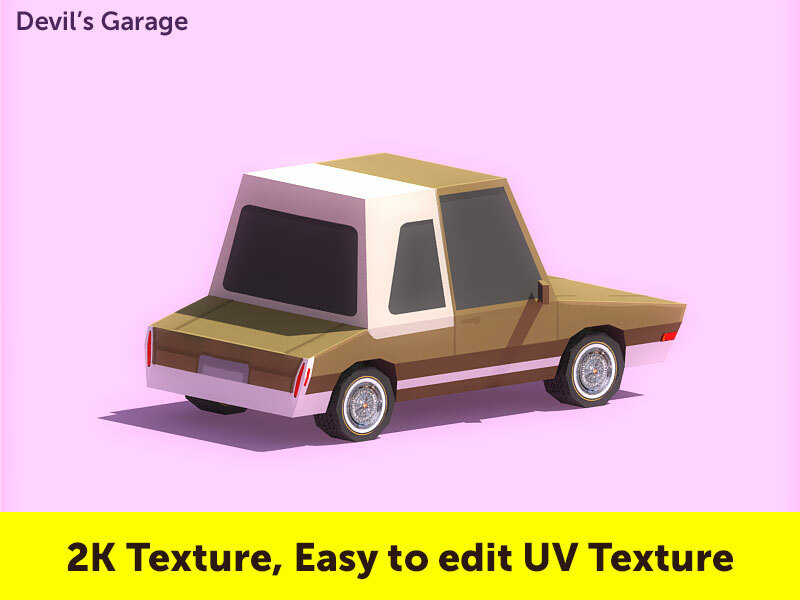 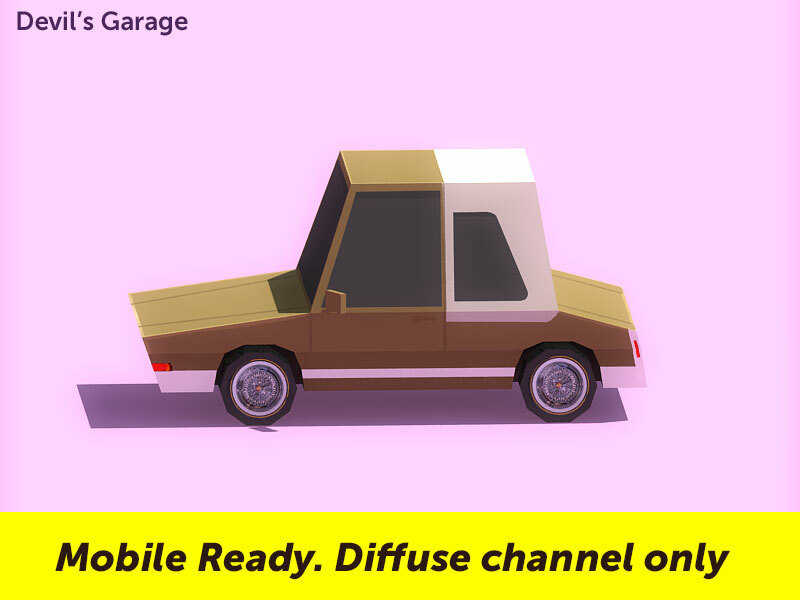 The Devil's Work.shop Low Poly Pimpmobile contains one fully illustrated car (with separate wheels) which has been textured, UV mapped, and unwrapped. 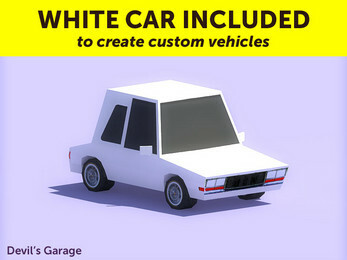 The pack also contains one white texture for further customization. 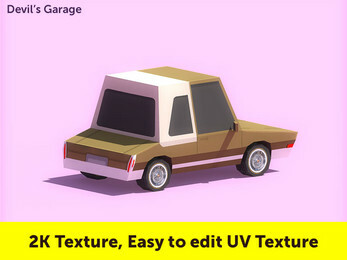 The mesh and texture (after compression) are very small and can be used in a street racing game. 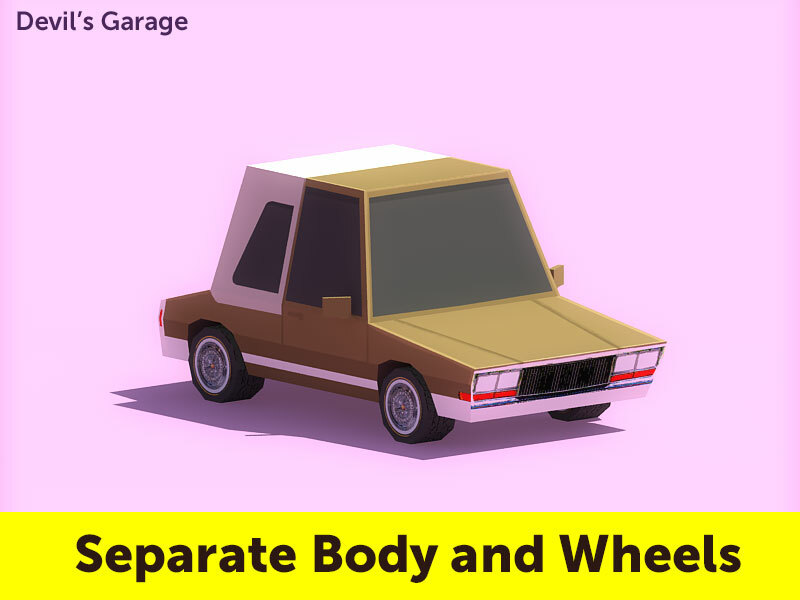 The asset can be easily imported into Unity or an open-source game engine like Superpowers.